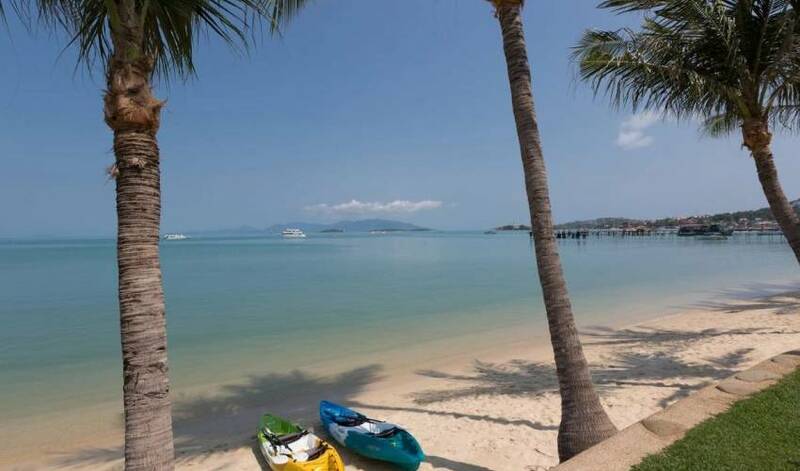 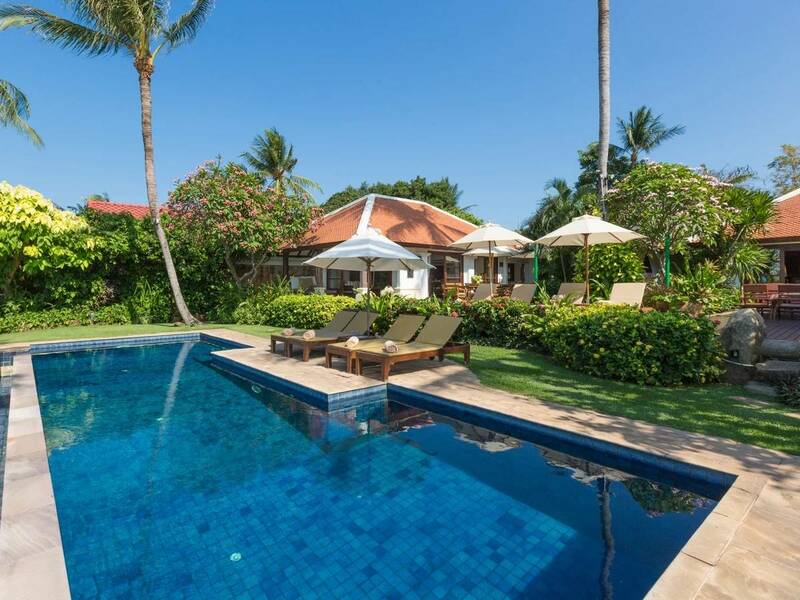 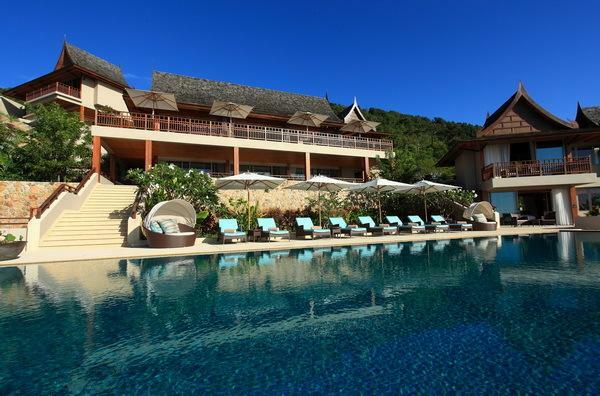 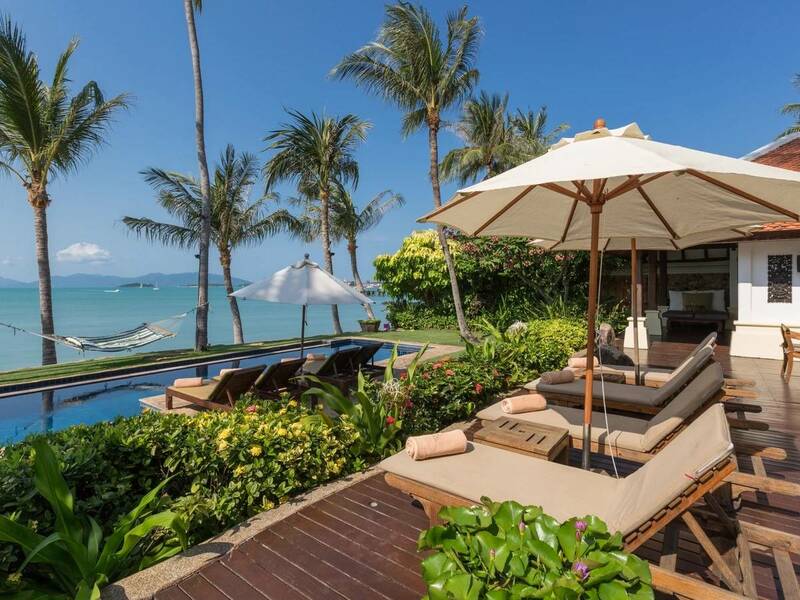 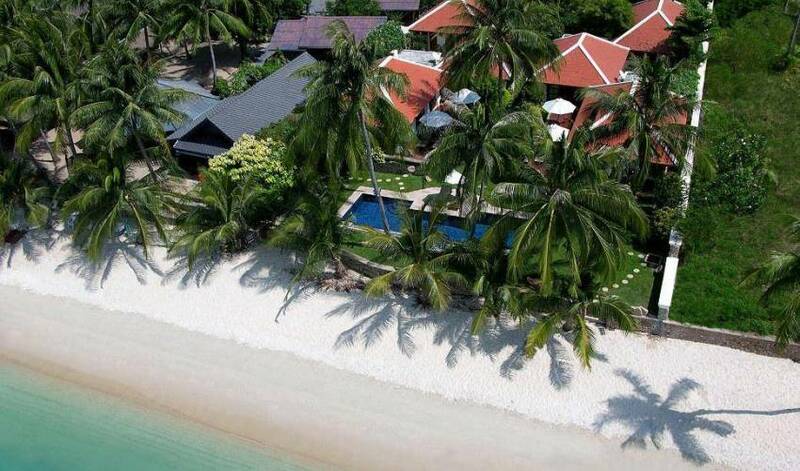 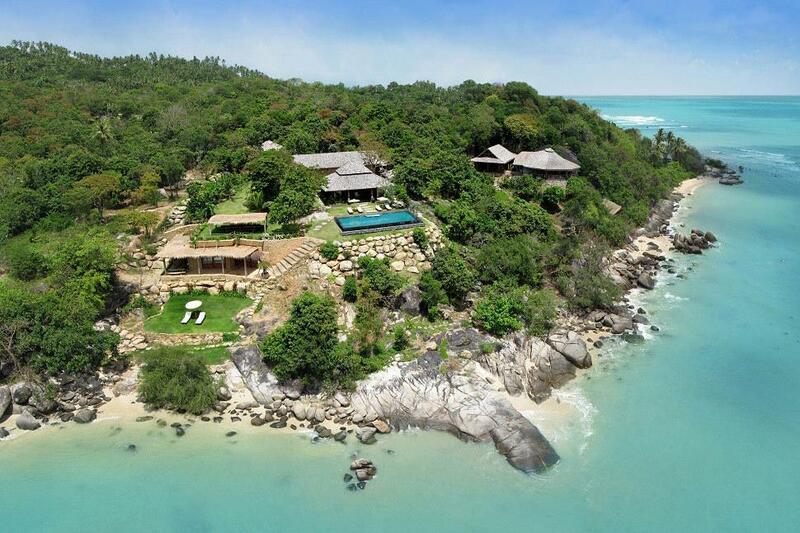 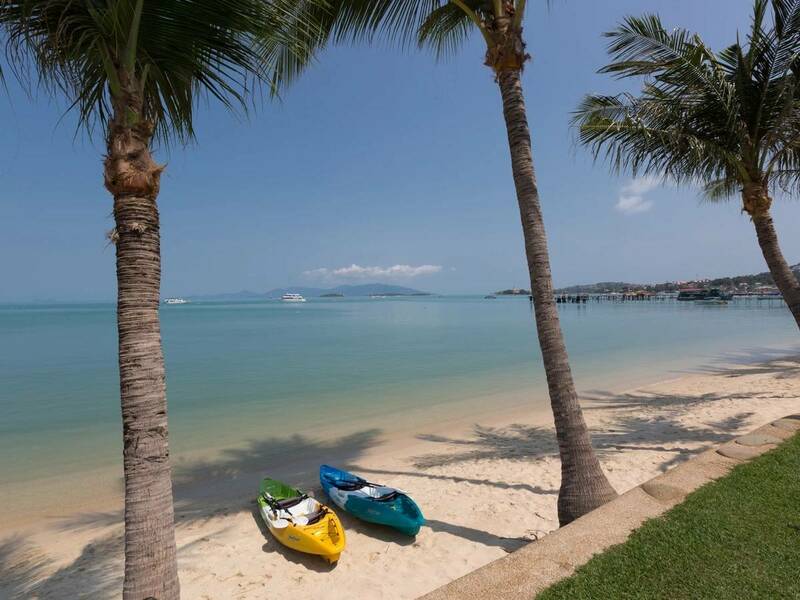 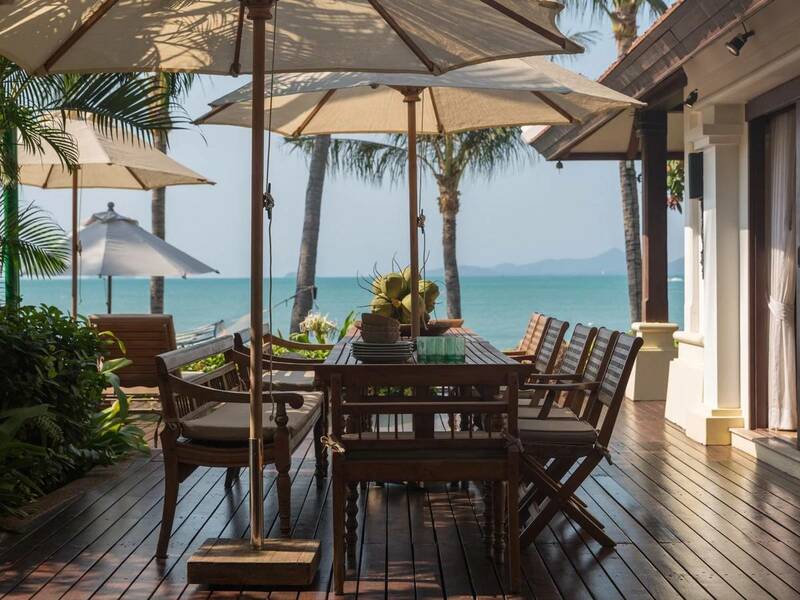 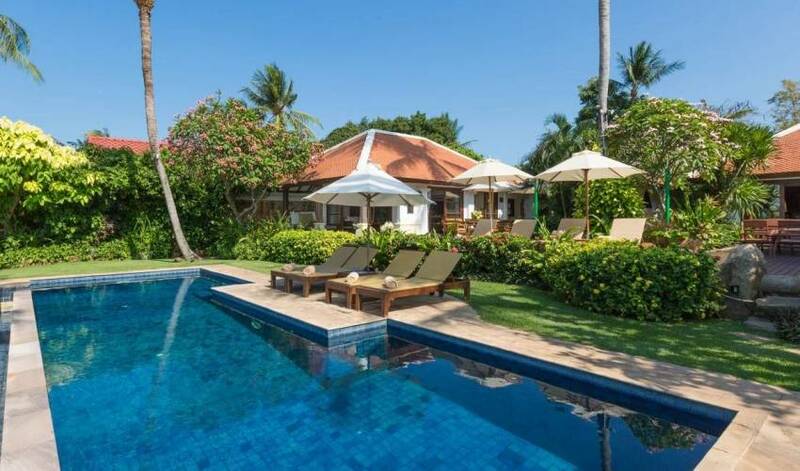 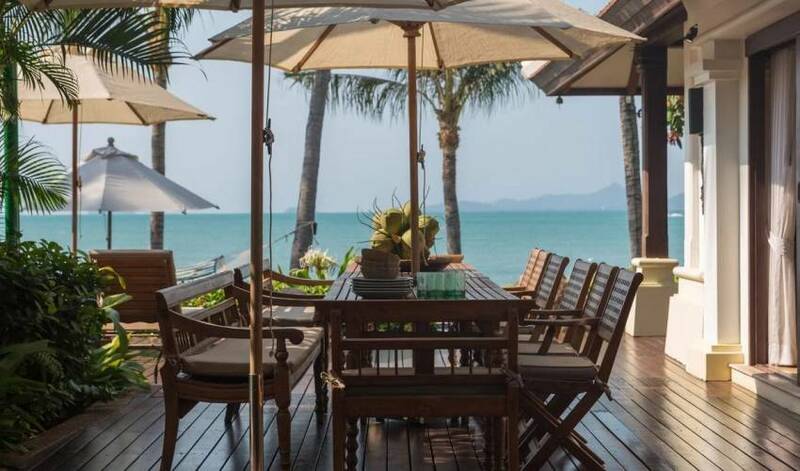 Located on the northern coast of Koh Samui, on Big Buddha beach, the villa is 5 minutes’ drive from the airport and 10 minutes to Chaweng. 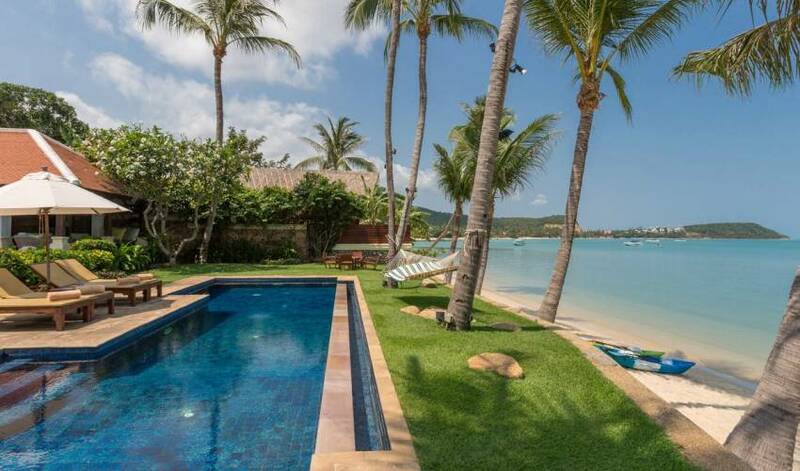 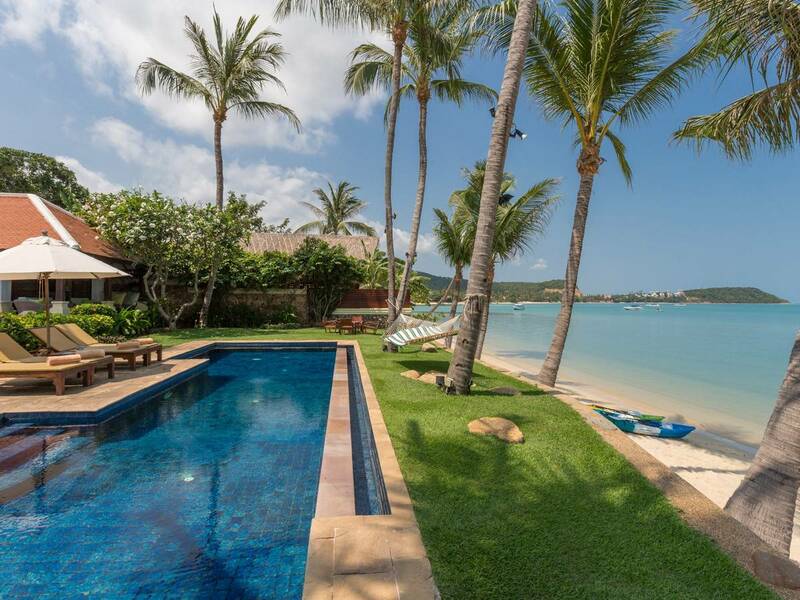 The property opens on to the 3km white sand beach from the pool and lawn in a bay that is perfect for year round swimming, jogging and stunning sunsets. 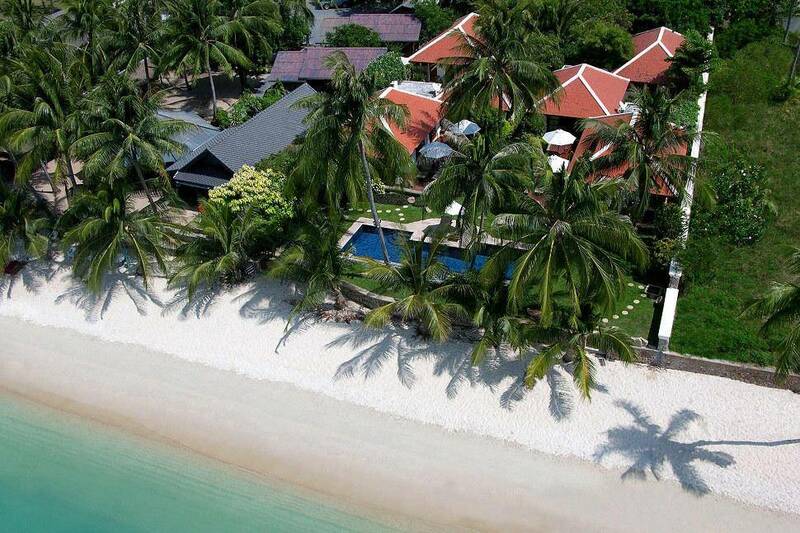 For added protection the beach access and the road access are covered by CCTV. 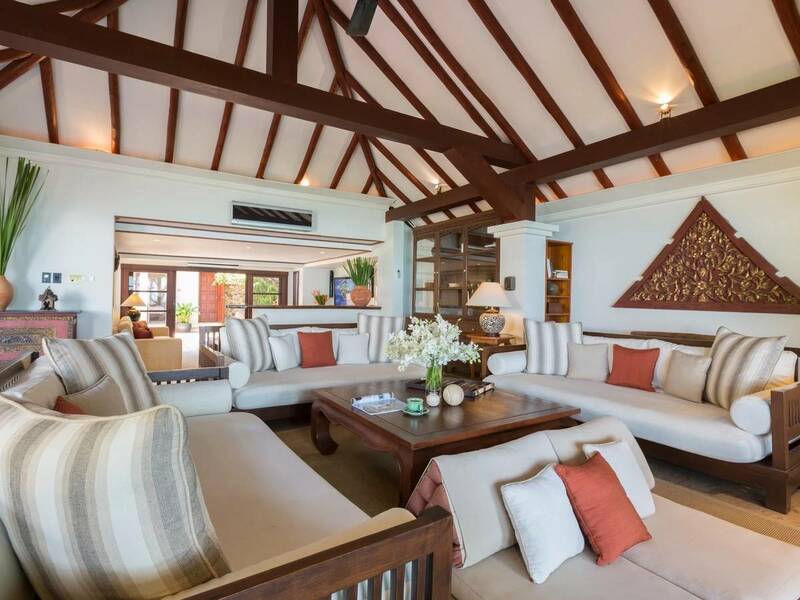 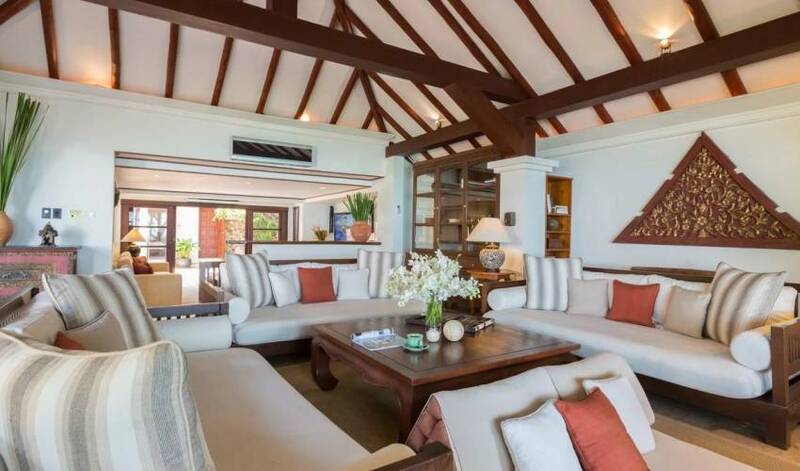 There is no CCTV coverage inside the living areas of the villa to ensure complete privacy for our guests.